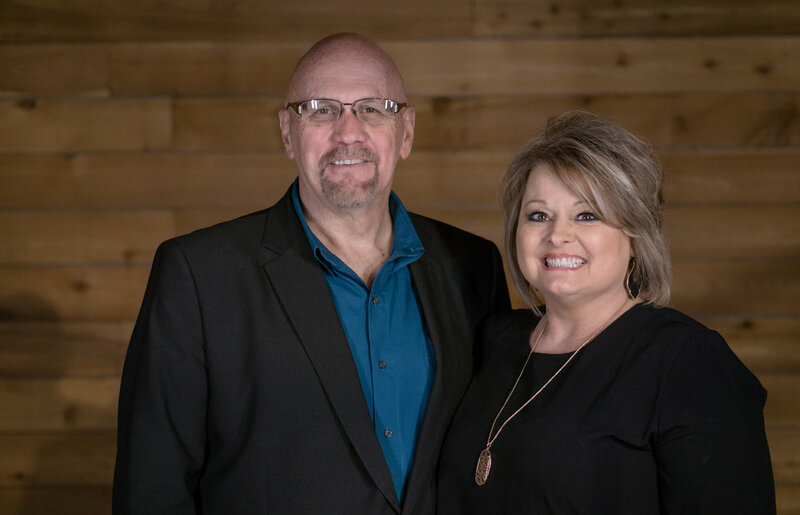 Pastors Ronnie and Kim Holmes serve Open Door as its founding pastors. They have a vision to help people receive Jesus and fulfill their purpose in Him. Pastor Ronnie is a Waco native. After being born again at about six years of age, he continued to grow in the Lord. He became involved in music ministry at about ten. In his twenties, the anointing to teach the Word of God became increasingly evident. He was ordained into the ministry in 1988. After serving in different areas of leading worship, teaching and preaching, the call to pastor led to the forming of Church of the Open Door. The confirmation of that call continues to be revealed as people come into a caring environment where they can grow in their relationship with God. Pastor Ronnie and Kim have been married since 1984 and have two daughters and one son. Ashley is married to Stephen Byrd (daughters Kinley, Kambri and Kyler), and Chastity is married to Isaac Elder (daughters, Bryslan, Callie and Remi). Pastor Ronnie and Kim were also been blessed with Austin, their son by choice through adoption, who has been with them since 2012. Pastor Kim serves as Co-pastor, having ministry responsibilities in a variety of areas. She is an anointed Worship Leader, where she, along with the Worship Team, help usher the congregation into the presence of God. She also serves as the Women’s Ministries Leader, helping women of God rise up to their full potential in Him. Her love for the Lord and for people is evident to those to whom she ministers. In addition to her responsibilities as Co-pastor, has been serving as Youth Pastor since the summer of 2012. Pastor Thresa Lawson is a hands-on bundle of energy. She grew up in a wonderful spiritual environment, with her father and mother being Church of God ministers for over 50 years. Her childhood was filled with “God moments,” such as, being healed of chronic asthma and holding her first revival at the age of thirteen. Pastor Thresa ministers in women’s events and churches in the United States as well as other countries around the world sharing her testimony and passion for the sick and hurting. She and her husband, Vance, are active in their local church community as they mentor and disciple young men and women. Both Thresa and Vance have a passion for marriages to be healthy and whole and exemplify that through classes and counseling sessions with married couples. In addition to being an ordained minister, Pastor Thresa holds a Doctorate in Nursing Practice and worked as a Nurse Practitioner in a Christian clinic that serves the underserved and refugees of Nashville. Her great love is sharing Jesus any place, any-time and anywhere the Lord sends her. Her passion for Jesus and His works on this earth have sent her to over 15 nations where she has been able to use both her animated speaking ability and her medical talents. Now serving as the Pastor of Ministry Development at Church of the Open Door has allowed her to continue to use this vast array of training and experience to help equip and release others to serve in their particular areas of calling, passion and giftings. Pastor Nilsa Latimer Smith has been at the House Where Jesus Shines since 1997, where she served alongside her husband until his death in 2005. The House Where Jesus Shines is a transitional residence that houses men and is a ministry of Church of the Open Door in Waco, Texas. She received her ordination in March of 2005 and became the Pastor over the House. She is the mother of three children and the proud grandmother of eight grandchildren and two great grandchildren. Pastor Nilsa recognized that there was a great need in our community for men and women on parole and probation to have Christ-centered recovery group meetings in a safe environment. She became the Director of Overcomers groups in Waco, training facilitators and overseeing meetings at the House, the church and in Gatesville prison. She views serving her community, church and the House as a great honor and privilege. Pastor Nilsa married Charles “Bubba” Smith in 2013. Pastor Terry Dobbs has served in Children’s Ministry 20+ years, and has served at Open Door since 2000. Her husband, Roy Dobbs, serves along with her in this ministry. Pastor Terry’s greatest joy is to see kids come to personally know Jesus and then to see them develop and grow in Him as they are helped to discover their own place of service. She considers it an honor and a blessing to work with the passionate kids’ ministry teams as they teach children about their identities in Christ and how they can make a difference in their world, by the power of the Holy Spirit! Pastor Terry is extremely excited to see what God has in store for this generation of children.